WAVY-TV 10 and WVBT FOX43 are proud media partners of Seattle Seahawks Star Kam Chancellor’s Kam Cares Foundation here in Hampton Roads. The foundation’s mission is to equip children from under-served communities in our area and Seattle with educational, health and wellness tools to position students for greater academic success. Chancellor grew up in Norfolk’s Park Place and is a success story for many children and adults in our area. He created his foundation in 2012. He has touched more than 5,000 children through services, donations and mentorship. 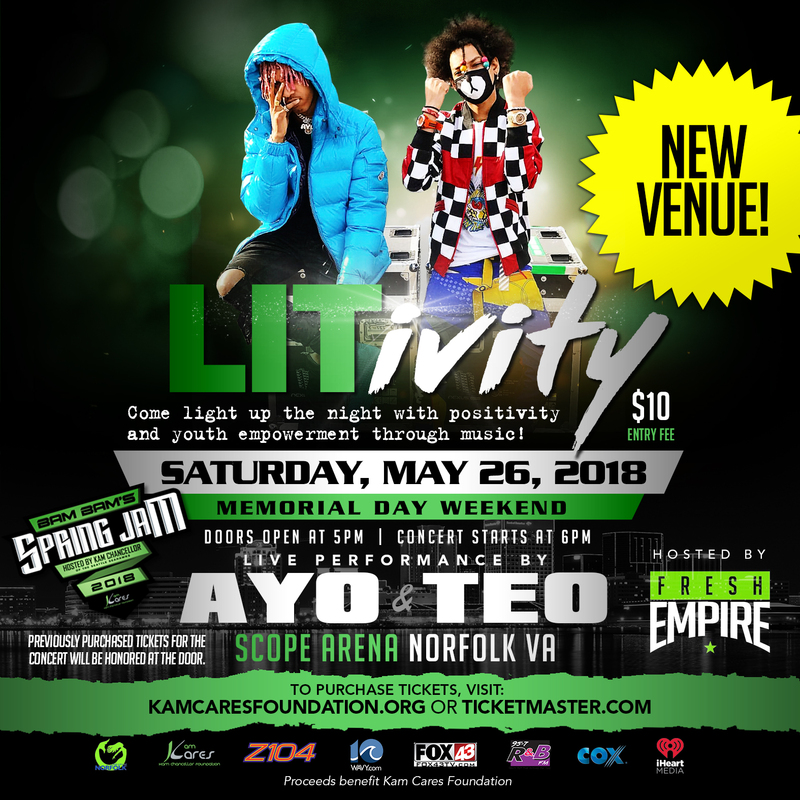 This year, Kam Bam Bam’s Spring Jam fundraising weekend has grown to include three major events we hope you and your family will enjoy. 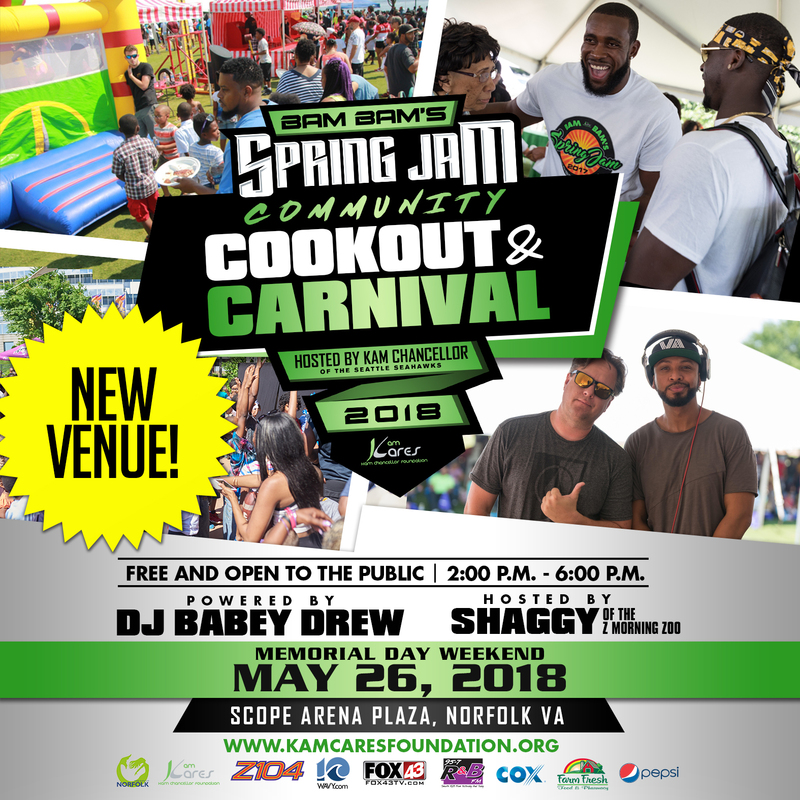 Kam Chancellor Presents Bam Bam’s Spring Jam Community Cookout & Carnival. Free & Open To Public 2p.m.- 6p.m. Scope Arena, Norfolk 6p.m. – 9p.m. Haygood Roller Skating Center 2p.m. – 6p.m.